Wonton Friends Bento, a photo by sherimiya ♥ on Flickr. Same here, I always make huge batch of gyoza and never last long, everybody love it!! 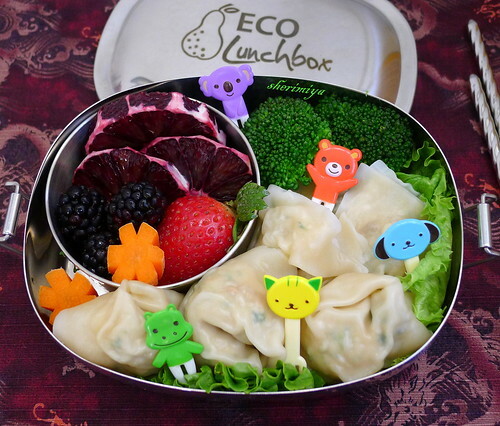 Cute bento BTW, I love that stainless steel eco lunch box! Heheh. The family could eat gyoza and wonton every day, I think! Thanks a lot Ann for your comment! 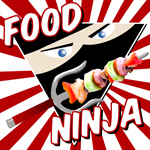 Of course, gyoza and then wontons! My kids love both, so often times my fillings are not necessarily traditional as I put different kinds of veggies sometimes so that kids are more willing to try it. Delicious bento! I'm with you; I change up the green ingredients and no one notices. yay! Thanks Nami!